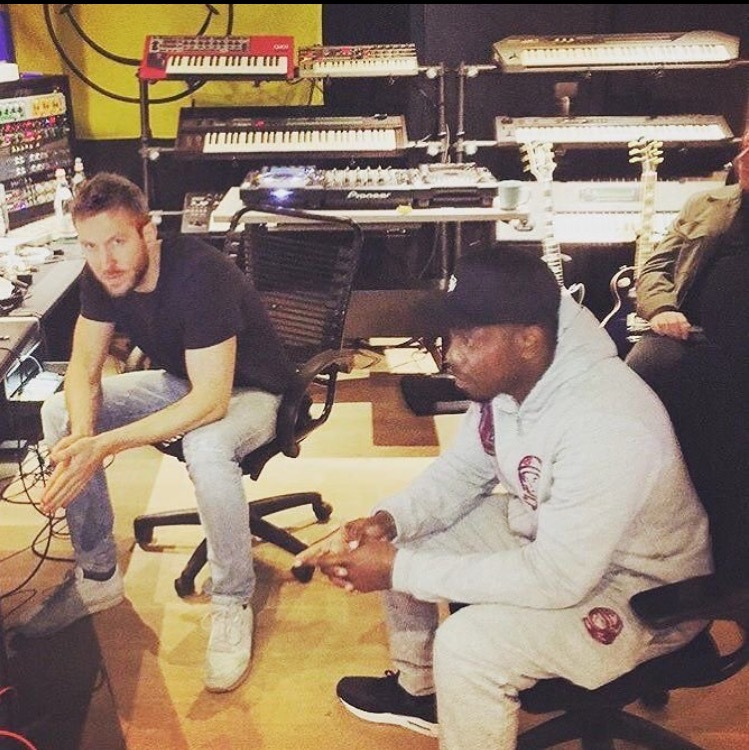 CALVIN Harris has finally got back into the studio with the man who gave him his first number one. The superstar DJ collaborated with Dizzee Rascal in 2008 when he produced, co- wrote and sang on his hit record Dance Wiv Me. Following the success of the hit, and their follow up Holiday in 2009, Dumfries born Calvin appeared to lose touch with the star and even went on the record to say he was worried Dizzee was trying to cut him off. He said at the time: "I would work with Dizzee in a heartbeat. I loved making those tracks with him. But as for more songs, I don't know what he's doing at the moment and whether he's making another album.He's lost my phone number or he's trying to cut me off. But I thought we had a good track record - two songs and two No1s." The two artistes did indeed lose touch with one another, but over the last few days they've rekindled their passion for making tunes together. The first hint was when Dizzee told fans he was getting 'piano lessons' from Calvin. He then revealed he'd been larking about in the studio with Calvin, Oliver Heldens and John Newman. On Friday night the two went totally public about their collaboration with Calvin posting up a photo of the two online. 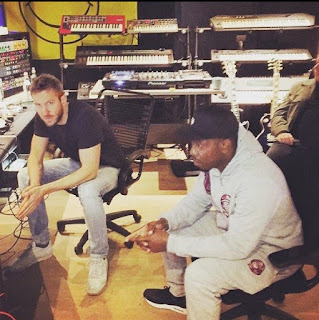 Calvin said: "8 years after my first #1 I produced for this man...feels great to be back in a studio with @dizzeerascal "
This is one collaboration worth waiting for.